Hanlon Industries was one of three contractors to win the five-year tender to manage the maintenance of the Sydney Airport. We also built and installed most of the external and internal digital billboards at the airport for one of Australia’s leading outdoor advertising company, APN Outdoor. 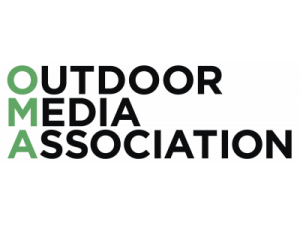 The exclusive Outdoor Media Association (OMA) welcomed Hanlon Industries as a new member in 2017. We were thrilled to join an Association that invites the best companies in the industry to promote and share innovation, research, trends, knowledge and advocacy. In December 2016 Hanlon Industries relocated its main workshop and head office to a new premises at 85 Heales Road, Corio. The new site is more than triple the size of our previous location, which allows us to cater to growing demand and better meet our clients’ needs. Hanlon Industries recognises its duty and is committed to providing responsible health and safety practices to all staff, employees, visitors and communities with whom we interact. In addition to our ISO9001 Quality Certification, Hanlon Industries achieved AS4801 Certification for our Occupational Health & Safety Management System. We were overjoyed to win the tender for Geelong’s floating Christmas tree. We also built the digital K rock sign that adorns the intersection of Malop and Moorabool Streets. “We work all over the country, so it’s super exciting when we win local tenders and get to work in Geelong,” said Teresa Hanlon, General Manager, Finance.